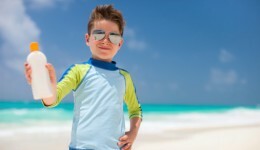 Home / Articles tagged with "sun screen"
Articles for Tag: "sun screen"
Next time you head out for a day of fun in the sun, here’s what you need to know. 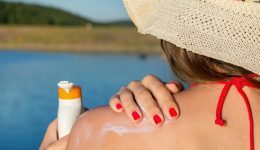 One in every five Americans will develop some form of skin cancer in their lifetime, and most cases are linked to exposure to UV rays. A common misconception about dark skin is one reason why people are missing signs that something is wrong. Here’s a few tips to protect your skin while enjoying the rays.